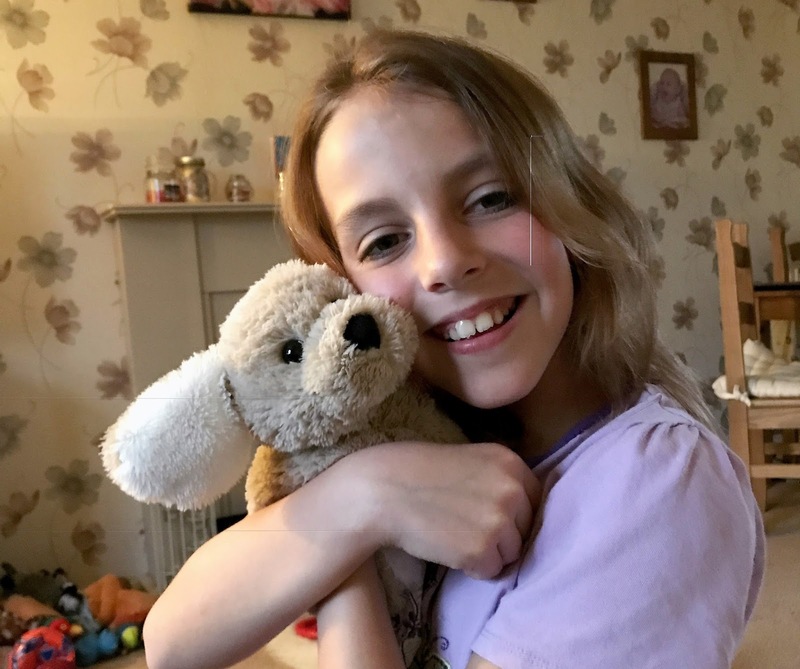 As some of you probably know Gee has a huge collection of cuddly toys, in fact I would go as far as to say her bedroom is nearly full of them and each one holds special memories for her. When she got the chance to see and try out the new Zookiez and Wobbleez from Sinco she was over the moon. 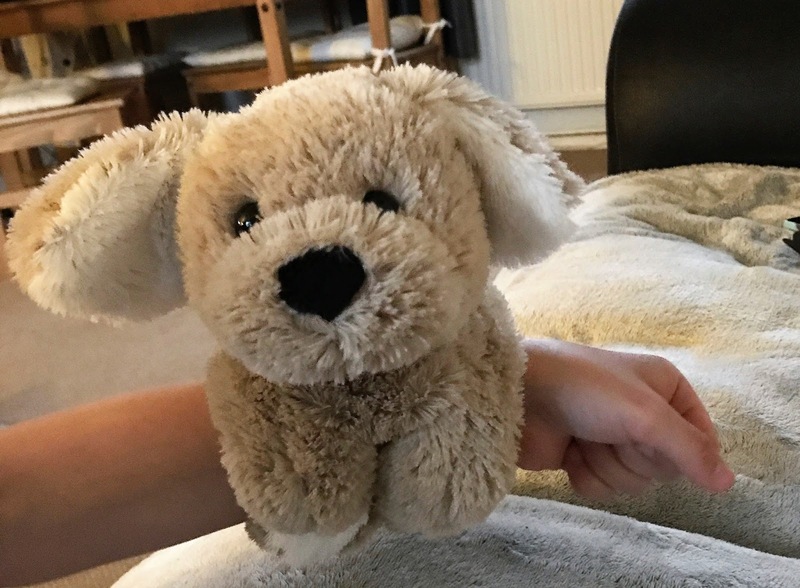 Zookiez are cute little furry animals that snap around your wrist or bag that you can carry around with you without the fear of losing them, this makes them the ultimate travel companion. There are 6 different animals to collect, a panda, a bear, 2 cats and 2 dogs. Gee had great fun carrying her dog around with her and it is now fixed to the bed watching down over her whilst she sleeps. Zookiez are priced at £14.99. 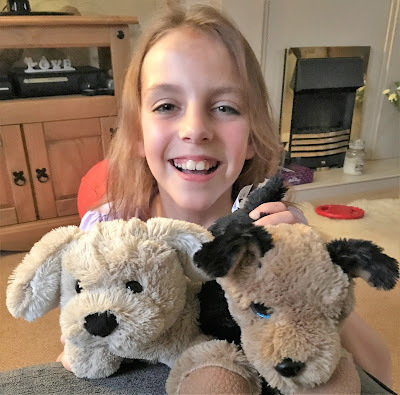 The Wobbleez collection consists of 3 different dogs which come complete with a leash that snaps together and when pulled gently the dog will wobble and walk alongside you. These cute little dogs make a lovely alternative for children who do not have pets. The great thing is that no batteries are required so children will not be moaning that their toy has run out of batteries. Wobbleez cost £19.99. Both toys are made by Sinco and are available to buy from The Toy Shop and Smyths Toys. We were sent these items free of charge for the purpose of this review but the opinion is our own. Awwwww too cute. All my boys cuddly toys have special memories too. These look lovely. I've never heard of them before either. Awww my girls would LOVE these, they love cuddly toys too and especially dogs! Such cute toys. My kids would love them. Ooh I want to know how the Wobleez work without batteries! Sounds great! Have to admit, when I read the title I wasn't sure what to expect haha. They're super cute though and I love that they can snap around the wrist! Oh my twin girls would love this, they love anything cuddly!! Such a adorable little soft teddies. My daughter would love these.